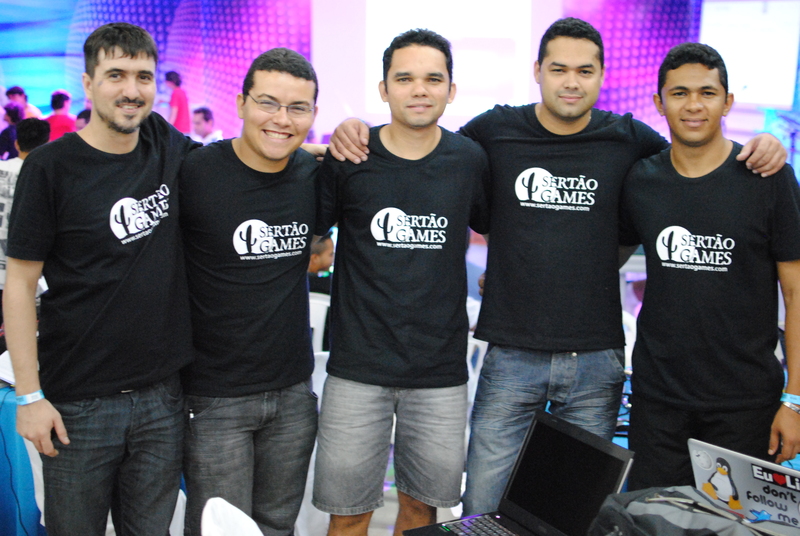 Sertão Games recently participated in the Virada Geek event, where a lot of people got together to spend all night long playing games, surfing the internet and discussing nerd stuff. Taking part in the event was not part of a plan, but we were offered the opportunity to have a booth on site and grabbed it. The event was 3 days ahead of us, and we started our popular brainstorming section to discuss what to do during the event. The first idea was to move our “office” there and create some assets for one of our upcoming games on site, showing the crowd how our development process works. 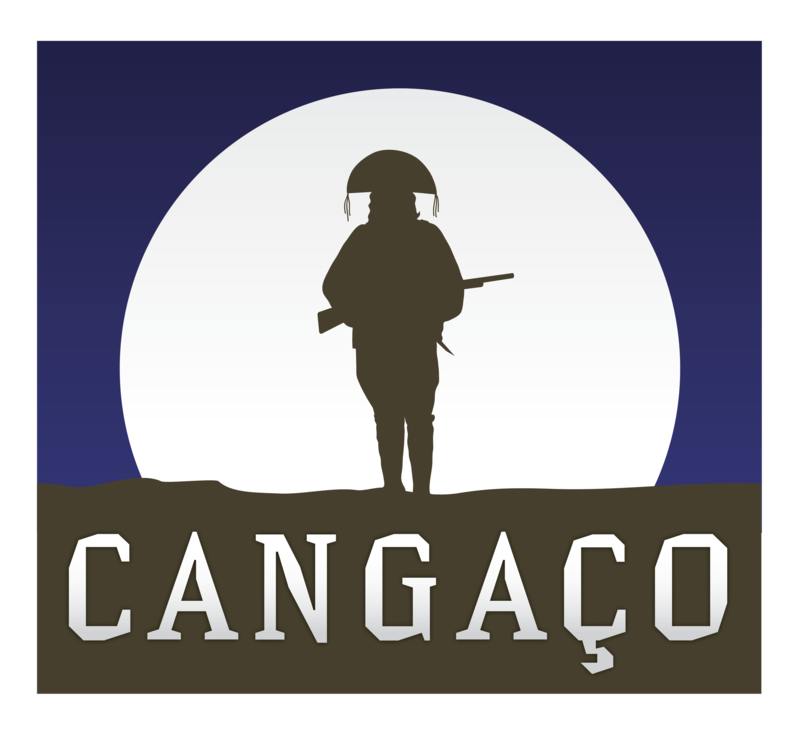 But then, on the following day (48h ahead of the event), our lead designer Wan suggested we could assemble a board prototype of our most beloved project: a turn-based strategy game, set in the Sertão (hinderlands) region of Brazil, during the Cangaço movement, when several armed groups dominated the region, until the formal government managed to put an end to it around the late 1930’s. 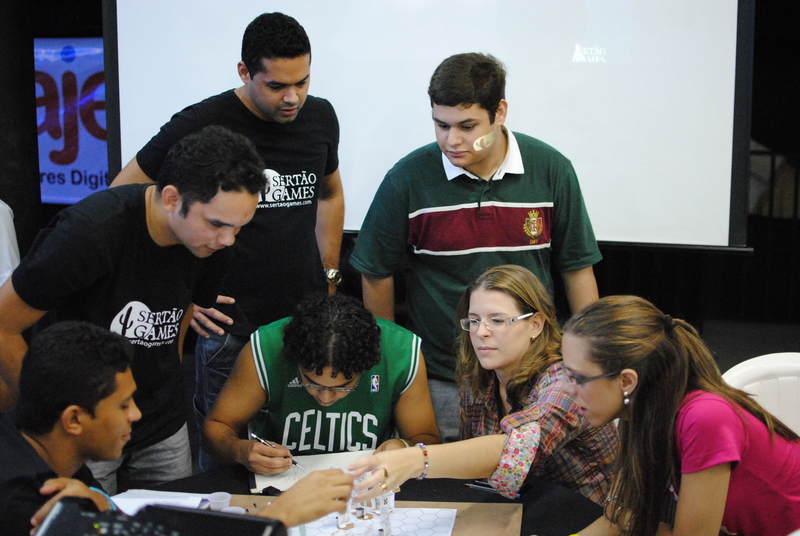 Ordering Sertão Games-branded T-shirts, putting a poll-form together, organizing the schedule, plus sharing stuff on social networks to create a buzz prior to the event. 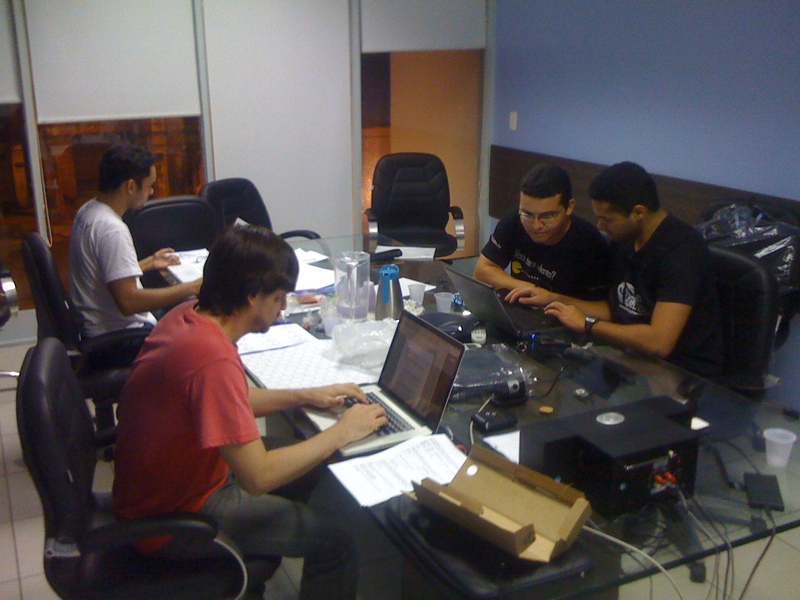 Sertão Games team working on the board game prototype. The hexagonal game map can be spotted in the middle of the table. Other objects. 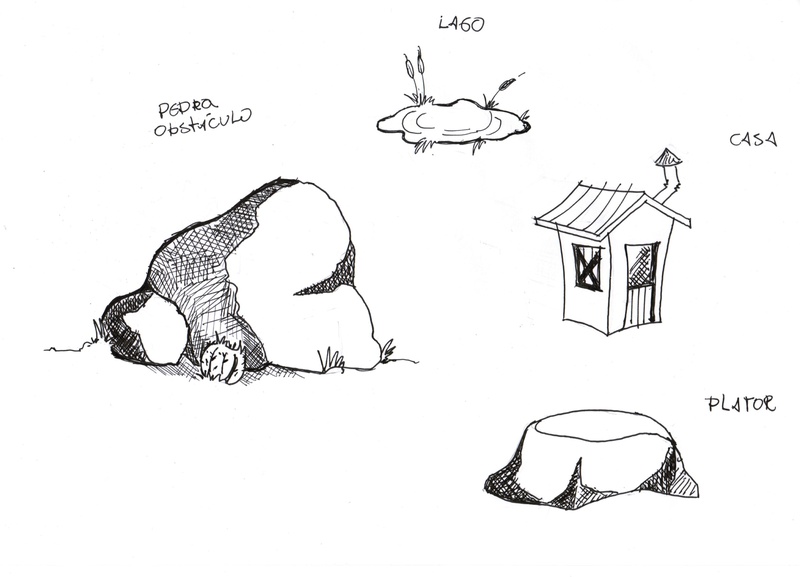 All sketches were hand-drawn. 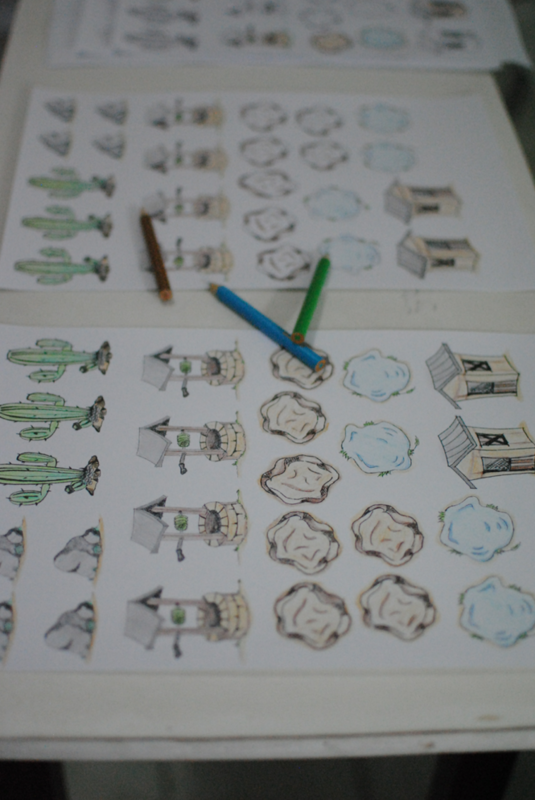 Character Sheets after all coloring is done, by hand... Hard work! Colored sheet with other props. 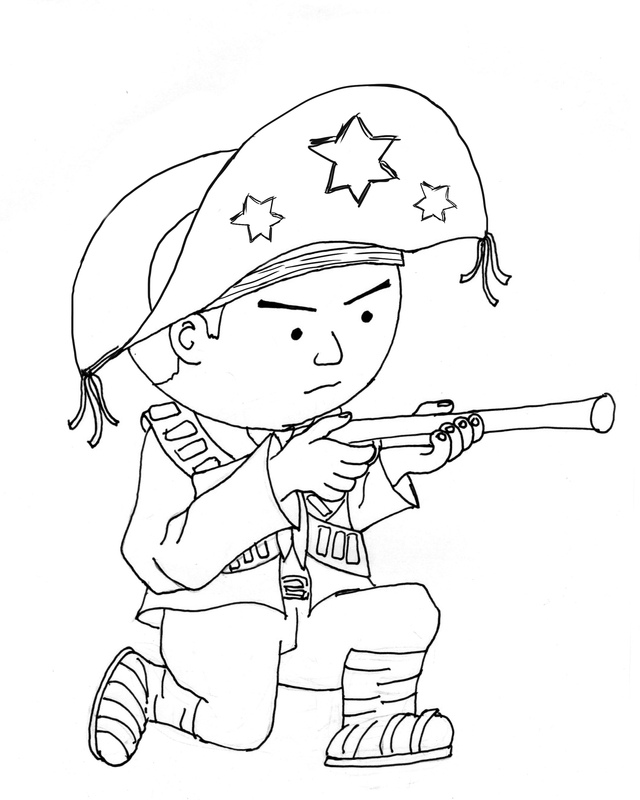 My wife Cintia helped with some of the coloring here. Given that no one can really trust a printer tray, assembling the vertical pieces meant the mirrored figures had to be aligned by hand against a strong light source (thick paper, remember), and glued together. 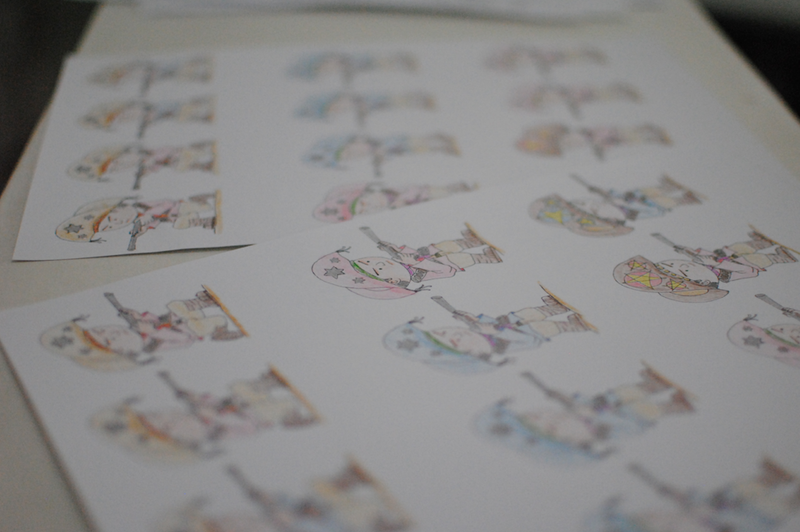 Since we only had one set of colored sheets, this was a very delicate part of the process. 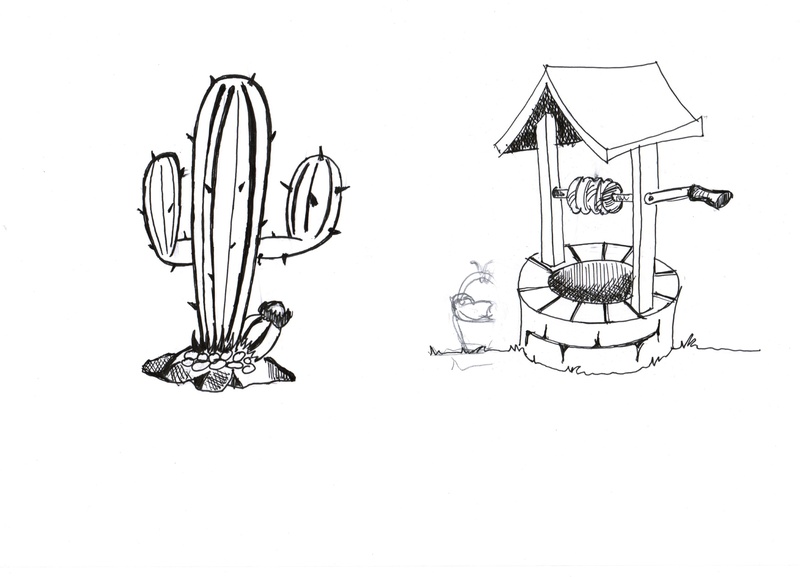 The team had already discussed some early game design for this particular game, but it was far from done, and we haven’t even implemented a prototype of it before, so the ideas weren’t tested yet. During the brainstorming two days before the event, we decided for very simple rules for two players, involving three game modes, one resource (water), two terrain modifiers (elevations and water courses), movement and attack (with reaction). 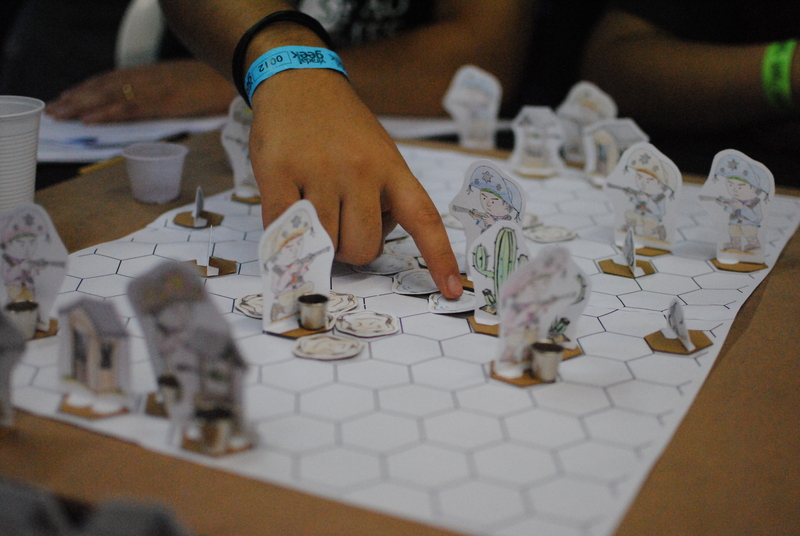 But even these very simple rule system took 6 pages, and we were a little afraid the gameplay was too complex for a crowded place, with loud music and several other distractions. To make it worse, the mini-buckets were very nice, but it meant that all attack interactions involved counting pebbles, emptying the bucket and filling it again. We were really not expecting this to be a first time hit. I was assigned with the writing (plus a lot of other stuff), and the rules were done in about 1 hour, since I had already studied several similar games and the set of rules was more or less set in my mind before starting to type. It seems the basic set of rules are good, given that we only had to do two minor balancing modifications to the character attribute table after the first matches to make the game more fluid. This is how the play sections looked like. 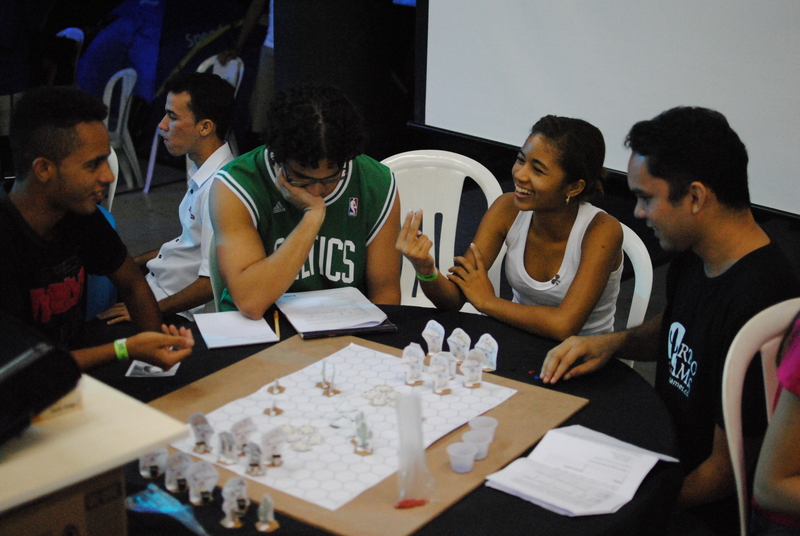 The feedback was AWESOME, and we’d like to thank to the organizers and the player who gave a lot of nice suggestions. A couple of game modes and features that were experimented with were evidently fun and we really plan to include them in the final game. 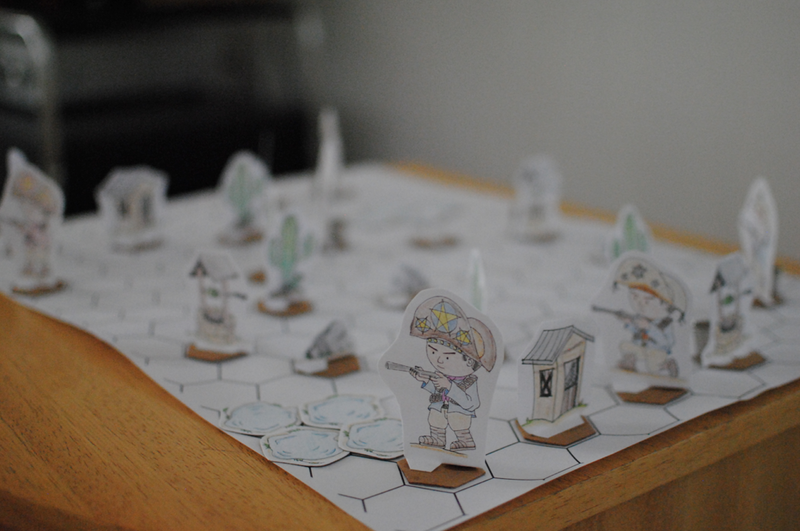 The board prototyping was a complete success (and yes, the paper pieces survived intact – we’ll keep this particular prototype for ourselves now) and we strongly recommend this type of experience. We even managed to finish most of the work the night before the event, giving some time for extra polish and preparation. We’re so excited about this that we’re even thinking in releasing a board version of the game. 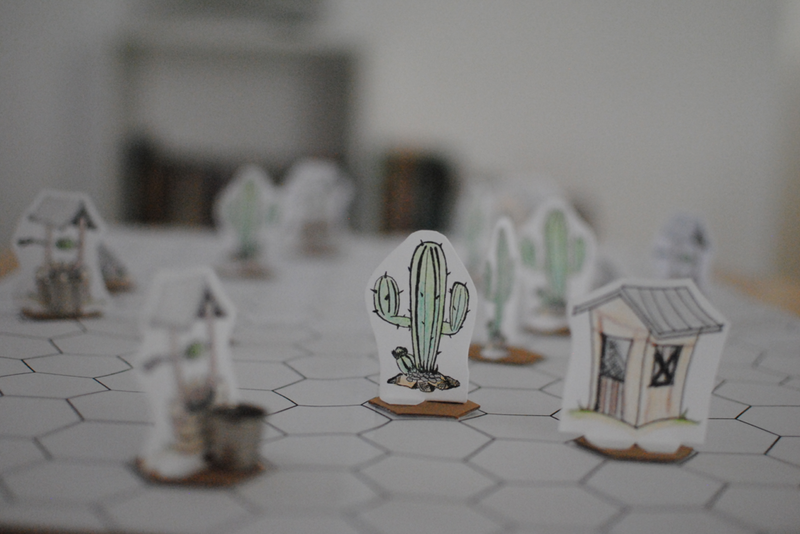 If it proves not feasible for a commercial release, we promise to make the game rules public, together with the paper sheets in PDF, so anybody can set up a board. Of course we’ll also have the 3D version of this game, and it will be even more awesome. 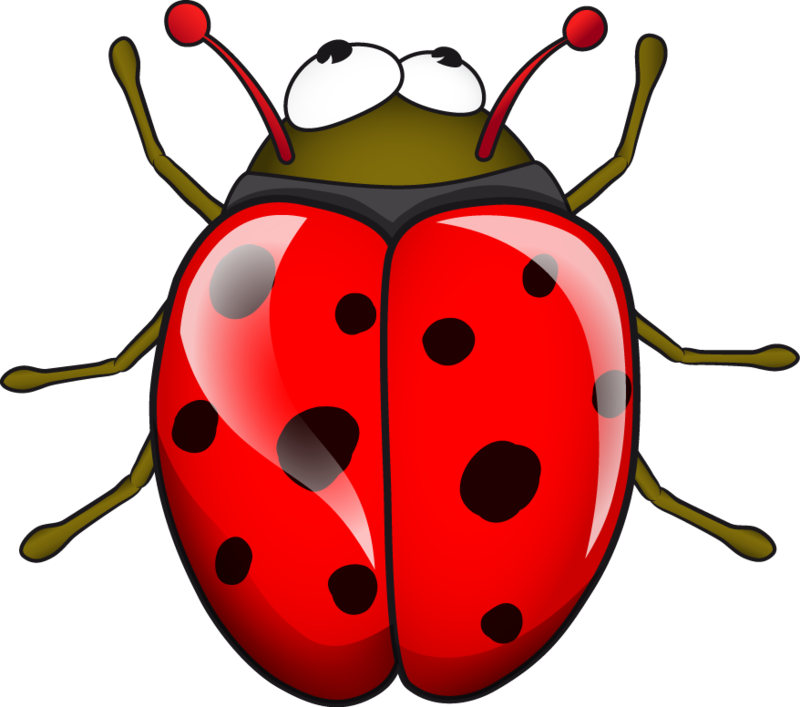 As mentioned in the previous post, we’re also working on an bug-themed game for tablet devices, and we’ll be giving updates on these two. Stay tunned. 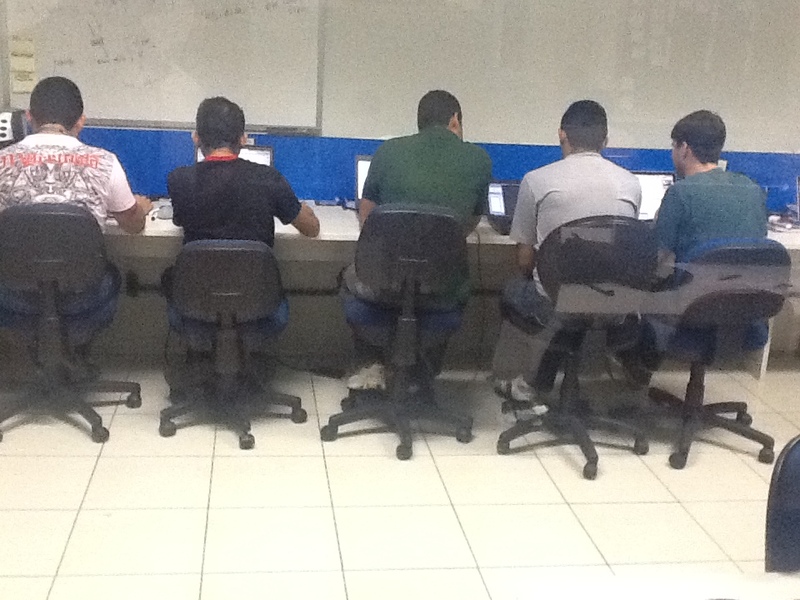 Sertão Games Team (from left to right): Erick, Jader, Wan, Diogo and Alan. 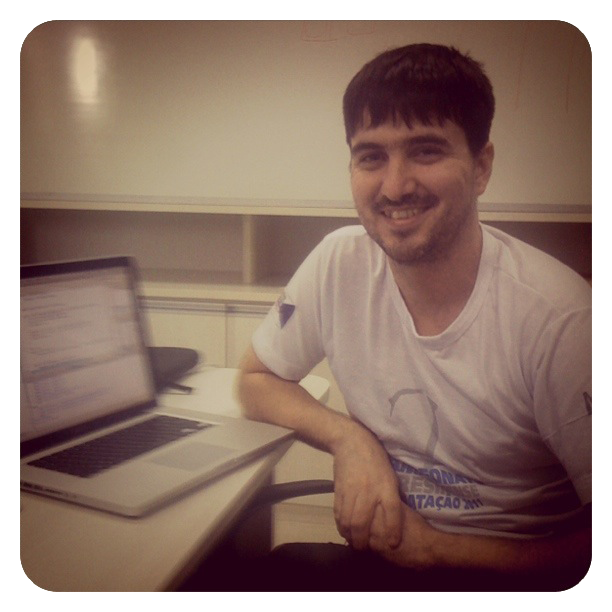 I thought a lot about what I should write in the first blog post of our game studio, and decided that we should start by sharing some fun stories on our gaming background. I’ll start writing mine, and the other will follow in the next posts.